Ever wanted to buy something from a website and been frustrated by an over-complicated checkout that makes shopping online a miserable chore? Organic traffic is more likely to stick with your site time and again if you provide them with a speedy way to shop, pay for, and receive goods. We have years of experience in providing effective bespoke e-Commerce solutions for websites that won’t drain the budget. A friendly e-Commerce experience is one of the most important aspects of any site that wants to sell products and services. The right user experience for your targeted customers will increase traffic, improve sales, and set you apart from your competitors. 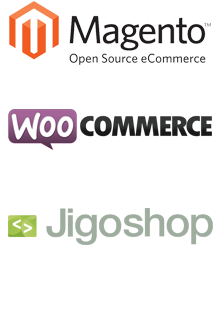 Let our web development experts streamline your sales experience today!